Phoenix City Grille 16th St. & Bethany Home Rd. Enjoy our delicious salads, sandwiches and entrées. This is our Ramona Farms Super Food. 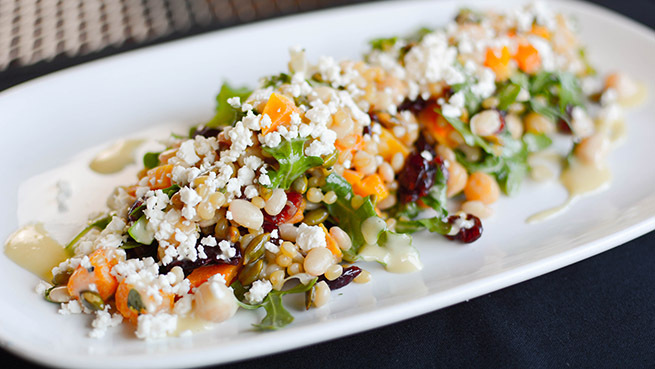 Tepary beans, Sonoran wheat berries, arugula, dried cranberries, pumpkin seeds, chickpeas, roasted squash and panela cheese with chiltepin-dijon vinaigrette. 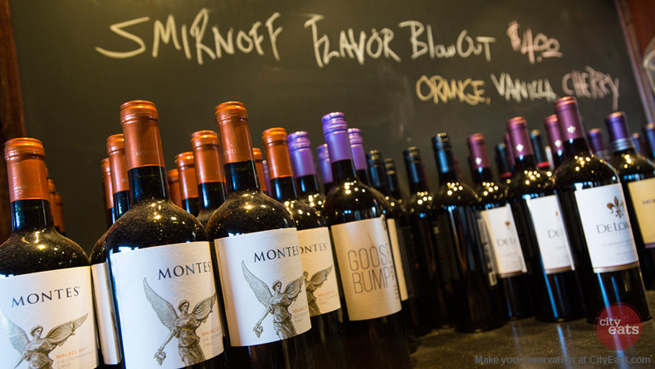 We invite you to take advantage of our nice wine selection. We have a large variety of Pinot Noir, Cabernet Sauvignon, Chardonnay, Sauvignon Blanc and many others. Check with your server for the latest wine list. Harissa rubbed, roasted butternut squash, coconut rice and pumpkin seed chimichurri. 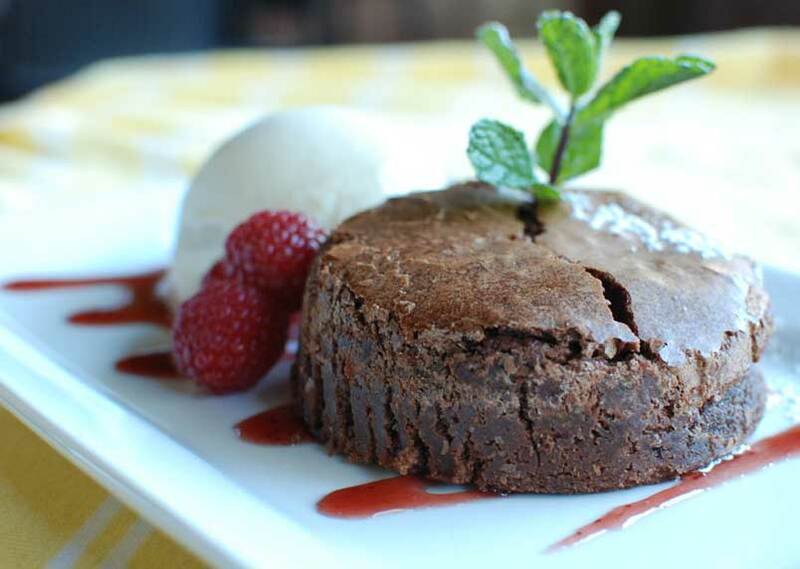 Our delicious desserts are the perfect end to a tasty meal. 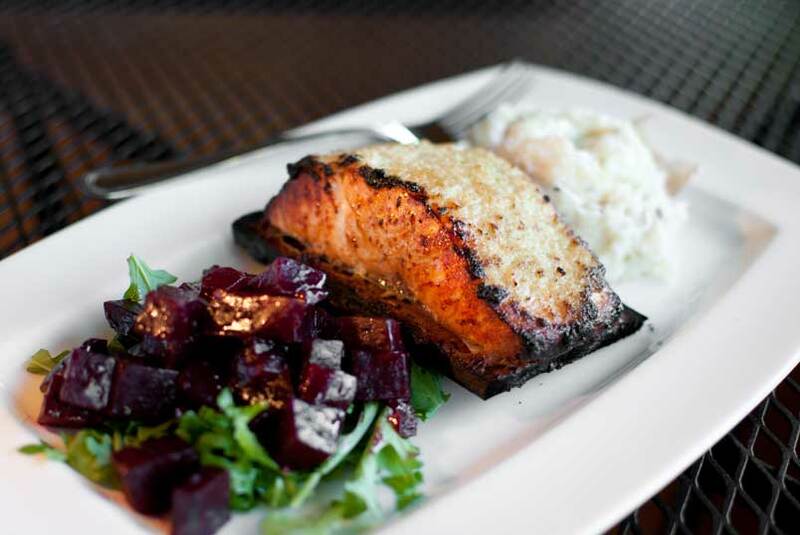 Our Gluten-Free Cedar Planked Salmon is served with citrus and horseradish seasoned, house mashed potatoes, roasted beet salad and lemon ailoi. Enjoy weekend brunch at Phoenix City Grille. Brunch is served 10am-3pm on Sunday. Try our benedicts including a Grilled Ham, Pork Tenderloin, Beef Tenderloin and our weekly featured Veggie Benedict. In the mood for a burger? 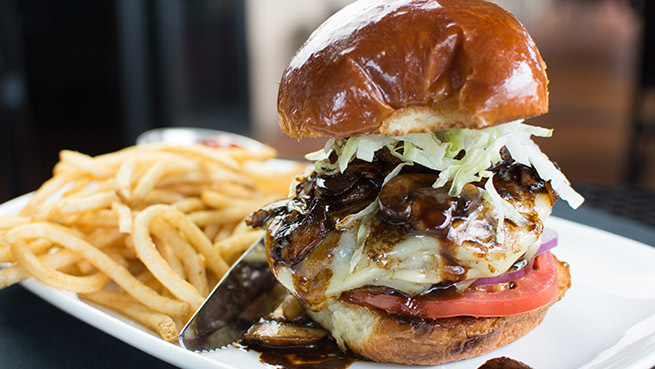 All of our burgers are made with fresh ground chuck and served on a brioche roll. Also, all of our burgers come with a choice of side including Cole Slaw, sweet potato fries, horeseradish mashed potatoes, cup of soup or crispy fries. 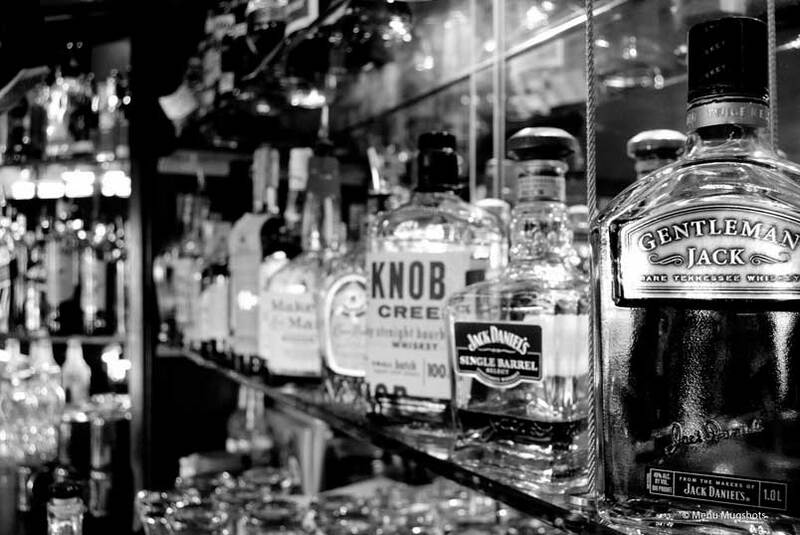 Enjoy a variety of Craft Beers, Wines, Small Batch Bourbons, Single Malt Scotches, Premium Tequilas and P.C.G. Specialty Drinks. We have two private dining rooms available for your private dining functions. These rooms are great for staff luncheons, holiday parties, bridal showers, anniversary dinners. Private menu is available upon request with prior notice. Welcome to Phoenix City Grille, an American contemporary tavern! 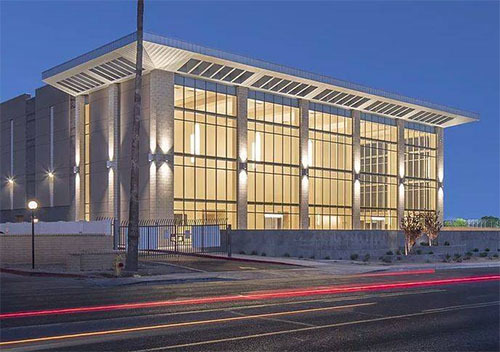 Phoenix City Grille is excited to welcome the Madison Center for the Arts...The Madison to the neighborhood. We look forward to partnering with them on a number of events in the near future. Learn more about them here. At Phoenix City Grille, we offer an American Contemporary all-day menu featuring appetizers, soups & salads, sandwiches, entrées and desserts. Our menu includes a number of gluten-free options. 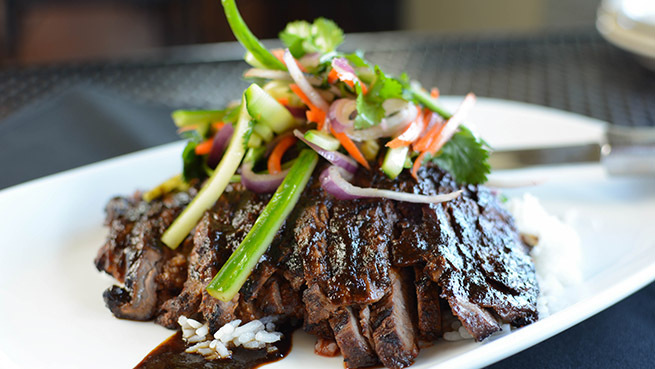 Our full menu is served in our dining room, bar area or outdoor patio. 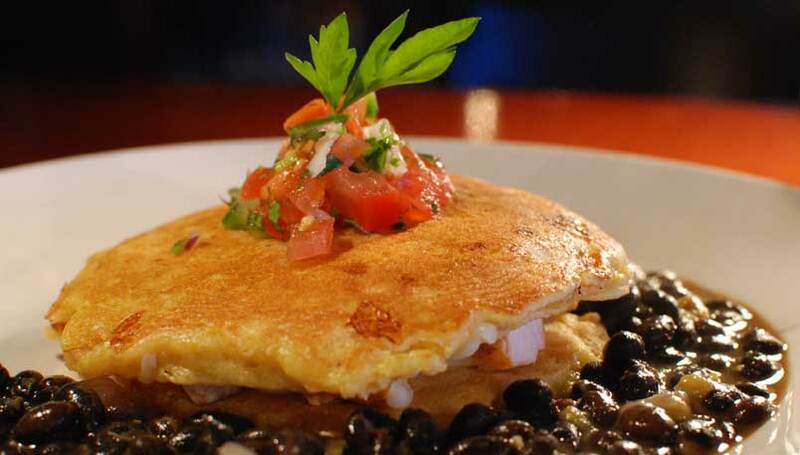 Each Sunday, Phoenix City Grille offers a delicious weekend brunch for the Central Phoenix crowd. Our kitchen staff prepares a variety of Benedicts, house favorites and seafood dishes. Brunch 10 a.m. - 3 p.m. on Sunday. If you are looking for a place in Central Phoenix to relax and enjoy a nice glass of wine or a tasty martini, the bar at PCG is just the place. Enjoy Happy Hour drinks and appetizers at Phoenix City Grille seven days a week. Whether you're in the mood for our famous PCG Hummus or whetting your whistle with one of our unique house martinis, Happy Hour at PCG is the perfect place for you to meet your friends or loved ones after work. How would you like to receive our complimentary weekend appetizer each week? Join Club PCG and you’ll receive our email each Friday morning with our weekend specials and a complimentary appetizer offer. Just for signing us, you’ll receive a complimentary dessert item that you can use for a future visit to Phoenix City Grille. Our private dining rooms are perfect for business luncheons, birthday parties, bridal showers, anniversary dinners, business breakfast meetings, holiday parties or social club meetings. 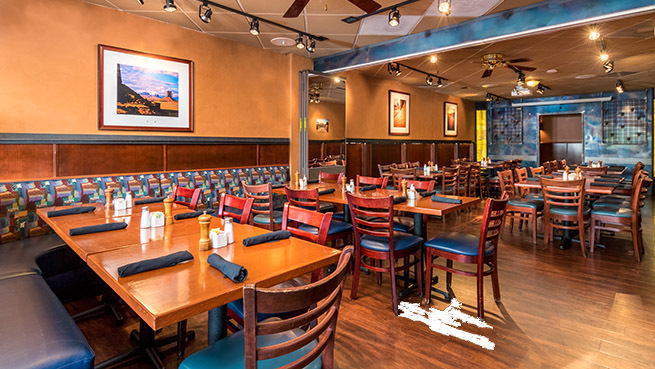 For more information about how to book your event at Phoenix City Grille click below.